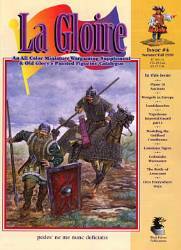 Includes: Overview of Phase 10 & Ancients, The Mongols in Europe, Landsknechts, Napoleons Imperial Guard Part 1, Modeling the Guildford Courthouse, Louisiana Tigers, Little Big Horn, The Battle of Arracourt, Orcs. 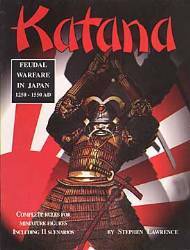 Feudal Warfare in Japan 1250 - 1550 AD. 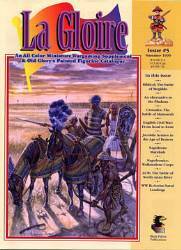 Complete Rules for miniature figures including 11 scenarios. Heroic Skirmish Combat in the age of the Shoguns. 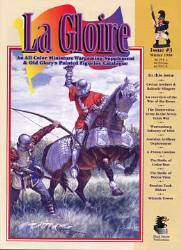 Contains rules for Samurai Heroes, Ronin, Ashigaru, Peasants and even the Portugese. Man-to-man combat in the arenas of Ancient Rome. Hex-based movement, with full selection of combat tricks employed by the masters. 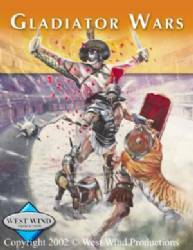 Game includes rules for basic gladiators, through the Champions of Rome. The American West has become the stuff of legend, and an integral part of our national myth. Though actually rather rare, the gunfight and the range war are parts of our past, and when playing western games, these are the actions we wish to play. 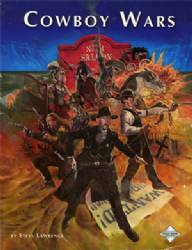 So Cowboy Wars sets forth a set of man-to-man rules for quick play games of this nature. 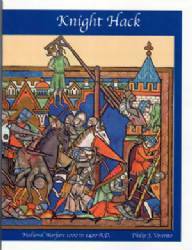 But it is the characters that add the flavor of the period..
Knight Hack - Medieval Warfare 1000 to 1400 A.D. Knight Hack is designed for the Historical gamer who seeks period specific historical miniature reenacting of Medieval battles. Knight Hack is designed for non-tournament battles and scenario games. 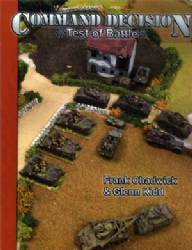 *New* Command Decision Test of Battle is a tactical level miniatures war game of WW II combat. It emphasizes the two most important aspects of combat at this level, rapidly changing tactical situations and combined arms operations. It allows tactical battles to play out in real time or faster. This is the fourth edition of the rules, and represents a major step forward in streamlined mechanics and ease of play. It is not, however, just a simplified version of the rules. It is a much more historically faithful treatment of World War II combat. Santa Anna Rules Warfare in Mexico: 1820 - 1870 Volume 1: is a tactical system by Buck Surdu and Pete Panzeri. This rule book is an updated Second edition with additional scenarios and a supplement on the South American Wars of Liberation by Mark Ryan.